Just like every other part of your wedding day, it’s ultimately your decision. 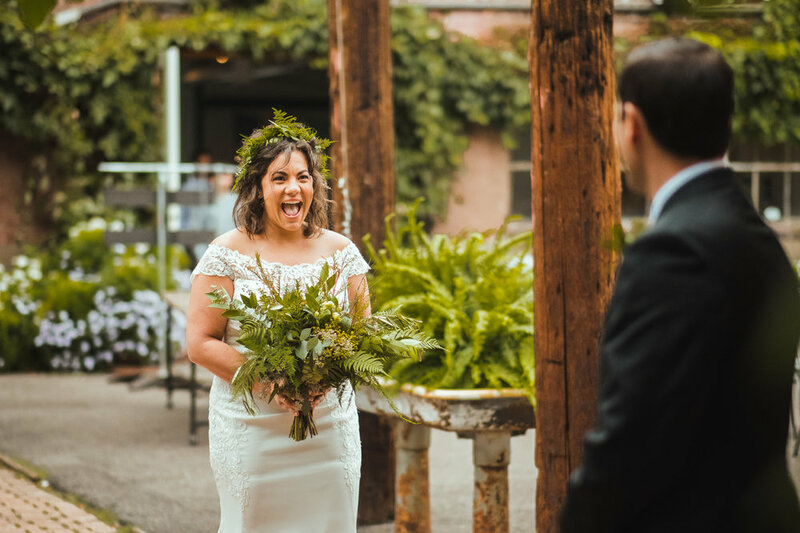 However, here are 7 (and a half) reasons we recommend you have a first look at your wedding, and we’re confident you wouldn’t regret it. 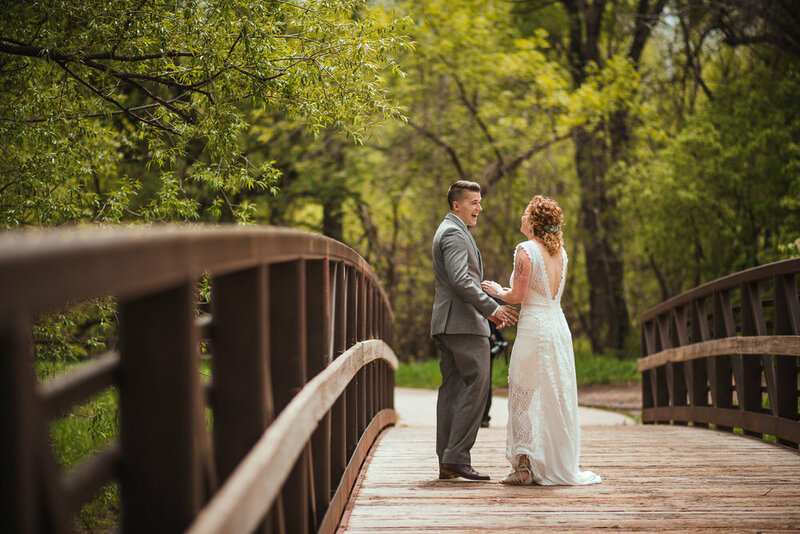 Rachel & Ben at Ellis Ranch Events Center in Loveland, CO. The largest logistical reason is of course, how your timeline is structured. When you choose a first look, we can get all of your formal photos taken before your ceremony even starts! This leaves your cocktail hour up for anything you can imagine - whether you’d rather be with your guests, taking more photos of the two of you, or taking some much needed alone time. When you have a traditional timeline, we have to use the cocktail hour to take your family photos, bridal party photos, and then whatever time is left to get photos of the two of you before scurrying off to your reception. 1b. Considering the time of year you get married and when the sun sets is also vital to making sure we have enough daylight to get your photos taken! If you want your ceremony at sunset but don’t want a first look, that means all of the photos of the two of you, your families, and your bridal party will be shot after dark with flash. By choosing a first look, we can ensure we have great light for every part of the day! 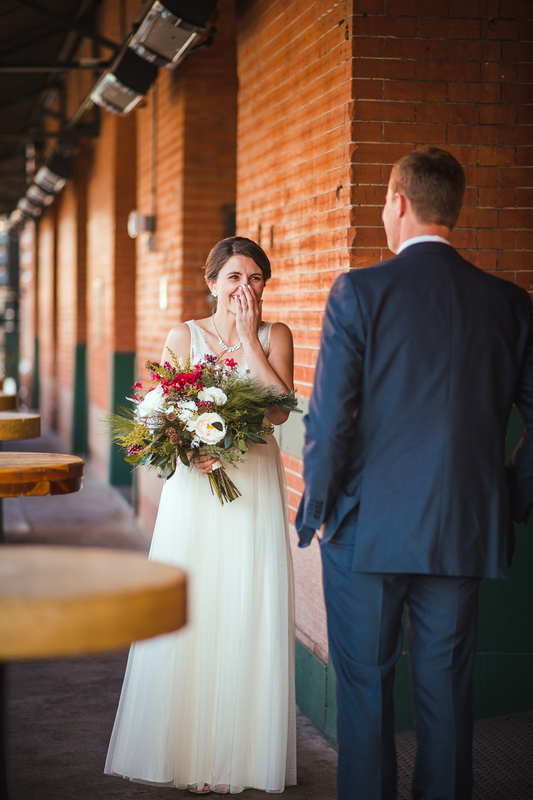 Daniel & Mary at Wynkoop Brewing Company in Denver, CO.
2. More of your wedding day spent together! Alex & Kelsey at Legacy Park in Fort Collins, CO.
3. Hasta la vista, nerves. Remember how you get to see each other sooner rather than later? Yeah, that also means those ridiculous butterflies in your stomach settle down sooner, too. Brandi & Jacob at 1C Barn in Colorado Springs, CO.
4. Tell me how you really feel! 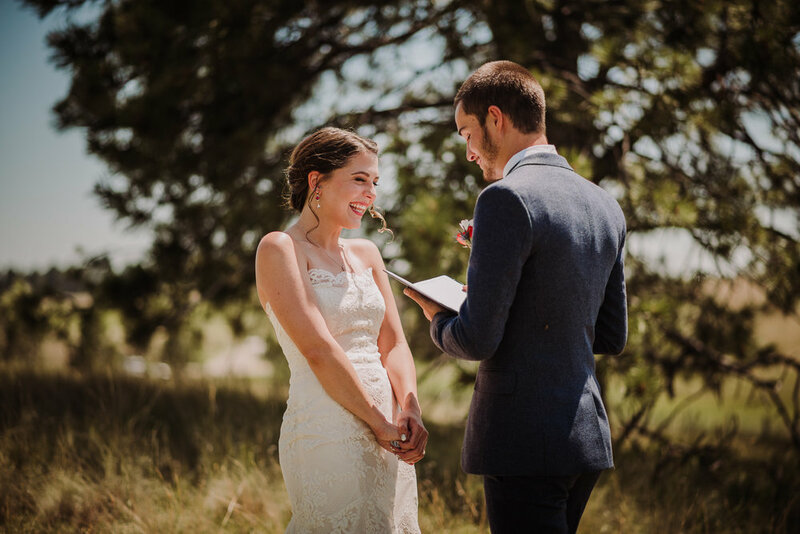 When you choose a first look together, you’re getting an intimate chance to say whatever and however you’re feeling, with no chance of holding up your ceremony or getting too emotional in front of your guests. No one else is around to hear you pour your heart out, or ugly cry if you want to. You can talk or not talk, you can exchange vows, or letters, or gifts, or simply just enjoy being together with no other agenda. Those quiet sobs in the distance? Yeah, that would be me photographing you lovin’ on each other. Don’t mind me. Kait & Trevor at blanc in Denver, CO. 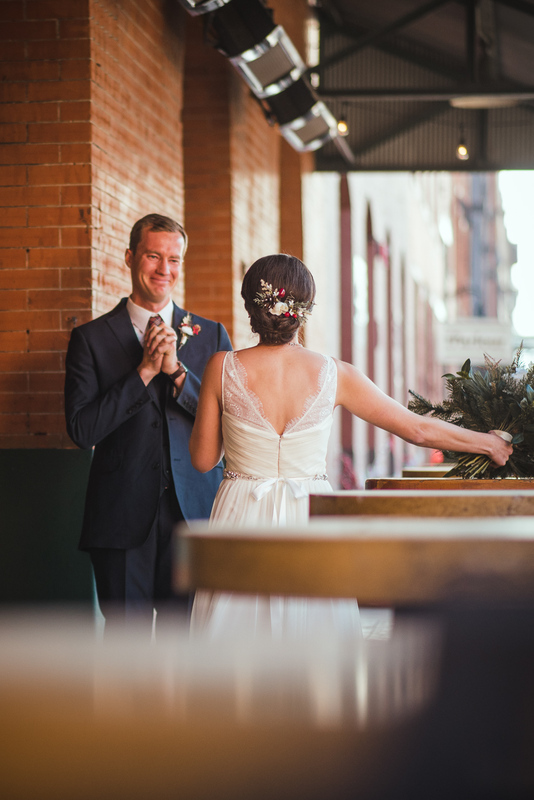 Seeing each other during your ceremony will still be wildly special for both of you; it’s an entirely different experience than your first look! This time, all of your guests will be there, along with your family and friends, music will be playing, and when your eyes meet down that long, beautiful aisle, it will still be exhilarating. It’s a whole rush you get to experience twice! Gloria & Tanner at Wild Basin Lodge in Allenspark, CO.
6. Maybe you’re party people. I know, I know. I can see it in your eyes. With your cocktail hour freed up from photos, you could jump right into the best part of any wedding, the open bar! I mean, the reception. Mingling around with your guests during cocktail hour is a great way to make sure the two of you get to actually eat your dinner when that part of the night rolls around. Okay, okay, I know I’m the photographer, but I mean, like I said, this day is only gonna happen once. Let’s let it go down in history with a few more photos! Need I say more? Daniel & Mary at Wyknoop Brewing Company in Denver, CO.